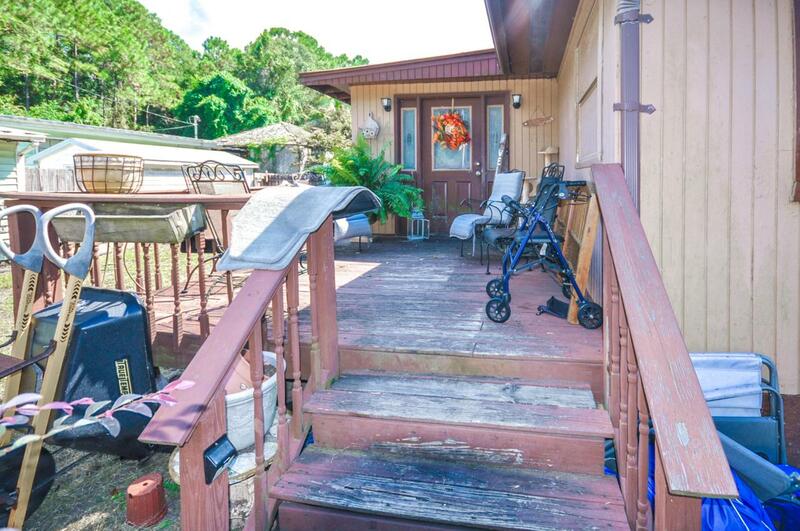 This mobile home is a great little place that is just TWO minutes from the beach and mesmerizing waters of the Gulf of Mexico. With a fenced in back year, 2 storage units, and a great porch, and fire pit to use in the evenings, this residence is a great place to enjoy the Southern Luxuries of living in Florida. Inside the home there are 3 bedrooms, 2 bathrooms, and a beautiful fireplace with surround from the 1800's, and an antique claw tube from the early 1900's in the second bathroom. Zoning for this area permits single residential building, which can be perfect for someone looking to build their dream home or investment property near the beach! Call now for your private showing.